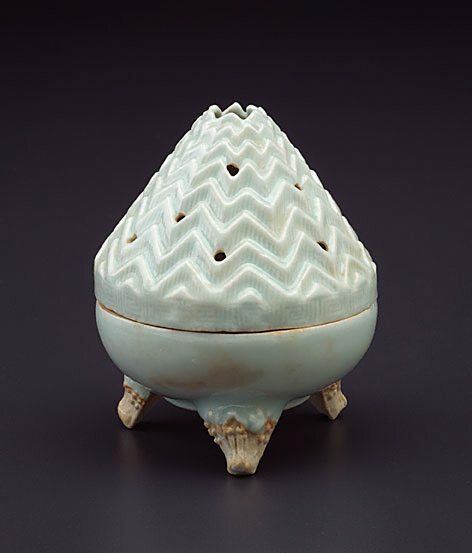 The so-called 'qingbai' (bluish white) ware was popular with local as well as overseas markets. The prototype for this purely Chinese shape is the bronze 'boshanlu' type believed to be a representation of Penglai-shan, the mythical abode of the Daoist Immortals. The Asian Collections, AGNSW, 2003, pg.113. The Asian Collections Art Gallery of New South Wales , 'The Marvel of Porcelain', Sydney, 2003, 113 (colour illus. ).